Learning meditation is one of the most important decisions that you can make during your lifetime. Whether you are eight years old or eighty, the decision to meditate regularly starts in motion an accelerated process of spiritual unfoldment. Meditation can be defined as the process of releasing any blocked energy that is attached to any thought. Learning meditation enables you to change the deepest substructures of your mind and soul so that you have a way to be happy. Just understanding what prevents you from being happy is not enough. Meditation is the ability to let go and change the structure inside of you. There are many different types of meditation and many ways to learn meditation. In this section we are going to talk about how to learn Taoist meditation because this is the tradition that we teach. 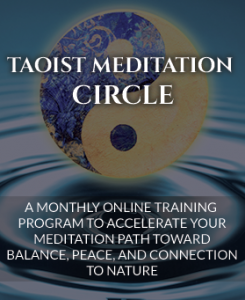 The Water method of Taoist meditation was described by Lao Tse in the Tao Te Ching over 2,500 years ago. 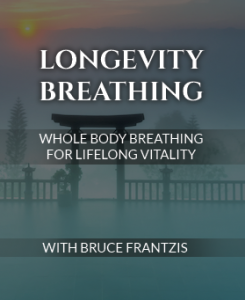 According to this sophisticated tradition, which has been transmitted for millennia from teacher to disciple in an unbroken lineage to the Taoist sage Liu Hung Chieh and from him to me, spiritual pursuits start with improving the health of the physical body. You therefore seek to become relaxed, fully alive and balanced within your own body before taking on the more difficult challenges of working with the unseen spirit world. The Taoist always started with the body because the body provides a solid foundation for all of the advance work that follows. The Taoist developed various understandings of how the body-mind-soul complex operates and then applied these to the art of meditation. Recognizing the Four Conditions and learning recognize them as they occur in our body and mind. Understanding the Eight Energy Bodies of the human being and learning to consciously connect and work with these in meditation. Learning how to let go and release bound energy with the Outer Dissolving Process and later with the Inner Dissolving Process. Let’s consider each of these keys in more detail, so that you have a better understanding of how to learn and practice Taoist mediation. Water method practices define challenges, diseases and illnesses as blockages. As you start the Dissolving process (described below) at the top of your head, you scan downwards and note whether you find one or more of the four conditions present in your body. Everybody wants to be strong. Have you ever met anybody who’s selling a weakness pill? Nobody would really like to be completely weak, impotent and useless in the world. So in the West there is a lot of emphasis on strength. In meditation, however, strength has a completely different meaning. Taoists don’t typically use the word “ego,” but there’s a kind of a strength that produces an ego. It’s the voice that says, “This is what I will do: I will make the world be the way I want it to, no matter what obstacles must be overcome.” This creates a lot of pressure and stress. Strength can be stubbornness, which leaves you with the inability to change. When you are too stubborn, you feel strong. Strength can also be connected to anger. Who doesn’t feel strong when they get angry? The Taoists say that when you really have it, you don’t notice it. What this means is that generally, when everything is working well, you aren’t aware of it and it does not bring you a feeling of strength. You just feel at ease and natural. When your energy is flowing smoothly, you don’t feel strong; you feel comfortable. When you feel strength, it’s usually because you are relentlessly pushing and straining. Eventually you snap. Or, you get sick. Take the classic type-A, driven personality who is highly successful, but suddenly drops dead from a heart attack caused by overwork. Do you have high blood pressure? If you train yourself to become more sensitive, you can feel when your blood is forcing its way through your system. Likewise, when people get incredibly fixated on their thoughts and ideas-on what they believe and think is true-they are acting from strength. Everything then becomes rigid rather than flexible. You want to able to recognize when you’re feeling a blockage of strength. Where are you trying too hard in your life? Where are you forcing your body too much? In what life circumstances are you finding yourself continuously frustrated, angry or overwhelmed? The second of the four conditions indicating blocked energy is tension. Tension always involves a fight. Something is seeking dominance over something else. It could be something as small as how you are going to make a deadline-how you are going to accomplish the task versus the amount of time you have to do it. Being angry is an example of emotional tension. Someone or something has impeded a boundary and you want to it to remain intact. Two things are pulling in opposite directions. Depression is also a type of yin emotional tension. Being angry is a more yang emotion, but depression is just as powerful as anger. It is a more inward or yin type of emotion. Can you recognize if you have any tension inside you for other emotions like greed or grief? What causes tension and pulls you in opposite directions in your life? You are here, but you want to be there. Should you be with this person or that person? You are ready, but the opportunity hasn’t presented itself. Don’t overlook the fights that might be occurring inside your body. Maybe your tissues are constantly tense–knots pull your muscles in opposite directions. The third of the four conditions is tricky. Our inner worlds are filled with an amazing amount of congestion. Most people are not even aware of what’s there. As infants, we have many experiences before we understand and can use language. When we were in our mother’s womb, we picked up everything that happened to our mother. If she was yelled at, if she was beaten, if she underwent stress, if she drank, if people around her were putting out incredibly negative vibes that she was soaking up–any of these situations disturbed us. Conversely, if she was incredibly happy, content and peaceful, we picked that up too. There are a million connections between dendrites in the brain. Experiences get wired with a cornucopia of input. All you know is that something doesn’t feel right. It is one thing to know what bothers you, but quite another when you haven’t got the faintest clue. You may never get to the bottom of it, but something that doesn’t feel quite right will become a part of your real, ongoing experience. When people can’t figure out what is bothering them, they get frustrated or feel helpless-and that may lead to lashing out, running or lower parts of your belly, going down an inch or two below your belly button? As your mind seems to naturally come to a stop, become aware of the tension inside of you. What is holding you back? See if it will relieve itself before rushing to continue. Be aware of how paying attention to your tension can make you want to run away or go to sleep and avoid it. People avoid that which is unpleasant; and when they finally do focus on something unpleasant, they often push it down. Then it can come back with a vengeance, perhaps in a different form or place. So just be aware of what’s inside you. You can continue this practice for as long as you’d like as often as you like. You have to be present to what you are feeling. When you become present, you can apply your intent to get rid of what holds you back using the Dissolving process. The fourth condition is contraction. The primary difference between someone who is very awake and someone who is sleepwalking through life is that someone who is awake is not contracted. Someone who is closed down or contracted is half asleep. What people call ego, stress and the fear of living are examples of contraction. Likewise, blood vessels closing down and organs malfunctioning are also examples of contractions. Rather than being open and operating fluidly, certain parts of the body start to contract and eventually shut down. The Taoists call contraction the “hallmark of death.” A thousand diseases can be described as nothing more than something in the body closing down. For example, a heart attack results from the interruption of blood supply in a main artery when it becomes clogged to the point of shutting down. As you begin scanning downward from the top of your head, consider this question: What is a contraction? Is anything pulling against something else? Become aware of and be present to any contraction in the top of your head. How do you feel it in your body? How do you feel contraction in your overall sense of yourself? Is something closing down? 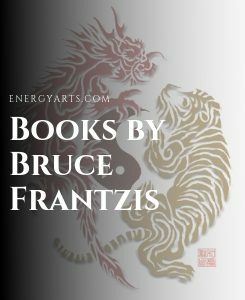 For millennia Taoists have found that recognizing these four conditions enables people to focus on where their energy is blocked. You first must become present, or you will not be able to explore what is not working inside you. All human beings need regular rhythms to integrate their experiences or they simply become overwhelmed. When the water breaks the dam, real problems begin to happen. Eventually, you want to put everything together and be present to any of the four types of blockages that call out for your attention. Whether horrible or good things happen, if you have the ability to be present, you can handle whatever situation arises. When you become present and accept life as it is, freedom will come with it. You have the space inside yourself to decide to do something different and then change that direction. When you don’t accept life as it is, you become like an addict chasing one high after another. You get stuck and lose your ability to change. It doesn’t matter what you do or how you do it, how strong your will might be or how tough or disciplined you are because you are caught in a continuous loop. You will make yourself the hamster on a wheel. You have to integrate your experiences because you can’t run or hide from your inner world. Freedom is about the ability to do what you want. At the end of the day, freedom always involves change. As you release blockages at ever greater levels, you will find that the light inside you begins to shine and you aren’t so driven by your own personal agendas. The Taoists always started by establishing this flow in the body. 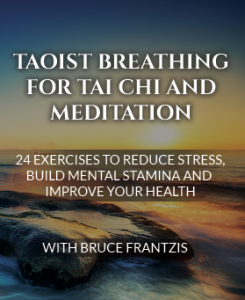 Letting go of physical strength, tension, anything that doesn’t feel quite right and any kind of contraction will be amongst your first challenges in Taoist meditation. The Taoists found that human beings encompass eight energy bodies that spiral into the energy of the universe. Chi, your vital life-force energy, flows through each of the energy bodies, which vibrate at increasingly higher frequencies inside you. These energy fields comprise all the aspects that humans can experience regardless of time, place or circumstances. They are in effect maps that enable you to systematically become aware of the layers of your consciousness and the chi blockages they each hold. Eventually, the way your energetic field links you to the energies of other human beings and the universe becomes relevant. 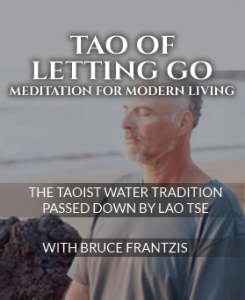 Taoists put a lot of consideration into letting go, which they call dissolving. When sugar dissolves in water, the sugar lets go of its separate characteristics and just becomes part of the water. Letting go is the easiest way to describe what people in the ancient world called dissolving. Now that you know what is blocked you need to know how to fix it. If you are fine to leave it inside you for the time being while you work on other blockages or generate the chi you need to deal with it, you don’t have to do anything. It is perfectly okay to leave it alone. However, some blockages are particularly problematic so you need a method for releasing what has become stuck inside you. There are two types of dissolving: inner and outer. Outer and Inner Dissolving processes are part of the same circle, however the Inner Dissolving process is initially more difficult to do than the Outer Dissolving process. The first phase of the Outer Dissolving process initially works with only the first two energy bodies: the physical and energetic. It is best used to mitigate or fully resolve problems in the body. The Outer Dissolving process does not require you to have a sense of the motion of the mind or the Mindstream. The process does, however, create an environment in which you may gain practical experience of the mind’s normal motion first and, possibly, the significantly subtler Mindstream later. Whether you are deliberately looking for mind and Mindstream, they will be found. The Outer Dissolving process, along with the other preparatory practices, also usually creates “the wonderful accident” in which you can spontaneously encounter consciousness itself. For this reason, it makes sense to start practicing the Outer Dissolving process before moving on to deeper Inner Dissolving training unless you are an experienced meditator. A cornerstone of Taoist philosophy is grounding and starting your practice in your physical body. The phrase used to describe the Outer Dissolving process has, for millennia, been “ice to water, water to gas.” Ice refers to the blocked, congealed energy; water refers to the accepting and relaxing of your internal blockage until it no longer causes you tension. Gas refers to the complete release of all the original, bound energy moving away from your physical body. The energy might revert to ice if the release is incomplete. In contrast, the phrase used for the Inner Dissolving process of the Water method is “ice to water, water to space.” Space refers to the vast internal space inside the body, space as infinite as the universe. In the ice-to-water phase of Outer Dissolving, the solid, bound and condensed energetic shape (ice) is released until it relaxes and reaches the surface of your skin (water). In the Outer Dissolving process, you release blocked chi from your skin to outside your physical body and then to the edge of your chi/etheric/bio-electric body or even beyond (water to gas). The previously condensed energy is now neutral, unblocked, shapeless and lacking energetic cohesion. Only then do you seek wisdom, which will set the stage for your natural courage to flow and engage in compassion. To become balanced, you have to let go. Dissolve and let go.